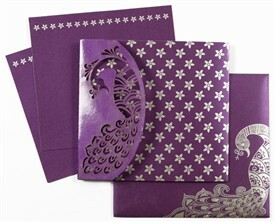 D-5557, Purple Color, Shimmery Finish Paper, Laser Cut Cards, Designer Multifaith Invitations. 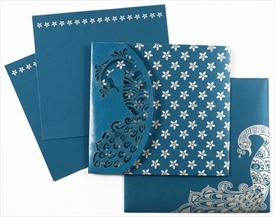 This 3 fold card has Gloss UV printed on the left ‘D’ Shape fold which also has the intricately Laser cut Peacock on it, A floral printed pattern on right fold. 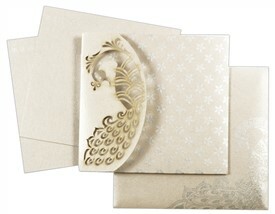 Inserts too have peacock and floral border printed. 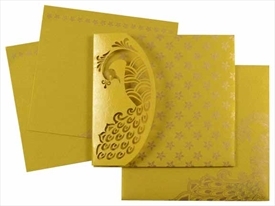 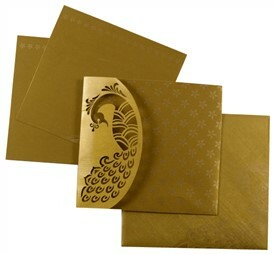 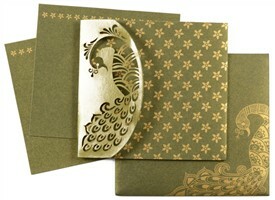 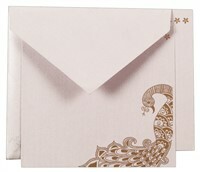 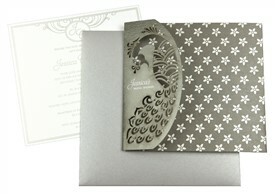 Envelope too has large peacock design printed on front. 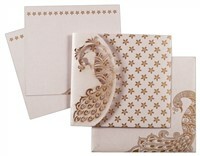 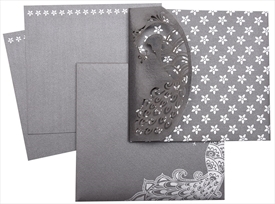 Also inside flap of envelope is printed allover with same floral pattern. 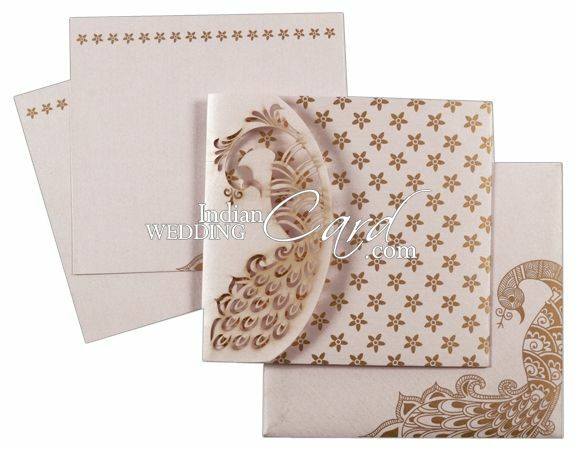 Pastel Mauve color shimmery paper (250gsm) for 3 fold card, pocket, 2 inserts and mailing envelope.